1. 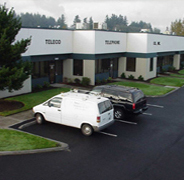 Teleco has been in business since 1979. We know your legacy systems and what changes it will take to bring you into the 21st century, using the most cost effective means necessary, without compromising functionality. 2. Teleco incorporates an in house burn-in process on all upgrades allowing us to pre-test and program all equipment before installation, thus making for a much smoother cut at a much cheaper price to the customer. 3. Teleco has an experienced staff of professionals that understand the phrase "Time is Money" when resolving customer issues. Customer satisfaction is always our priority. 4. Teleco's large warehouse of communications components allows us to rapidly respond to any issue without the need of a customer owned "Crash Kit" in most cases, thus reducing customer liability. 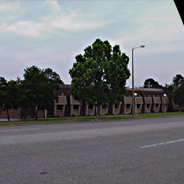 Teleco has also strategically placed its Memphis office across from the Fed-EX national hub to expedite and ship critical components upto 11:00 pm. 5. Utilizing dial in capability, Teleco can begin diagnosis of any issue immediately should the need arise 24/7. 6. Teleco incorporates a national and international team of subcontractors, meaning, we can resolve issues anywhere, at anytime. Our subcontractor skills range from communications to construction. WITH ALL THESE REASONS, YOU CAN'T AFFORD NOT TO CHOOSE TELECO . . .
Copyright© 2013 Teleco Telephone Inc. All rights reserved.